Block out the sun and the Empire's nefarious agendas with this Star Wars Rogue One Rebel Logo Dad Hat! 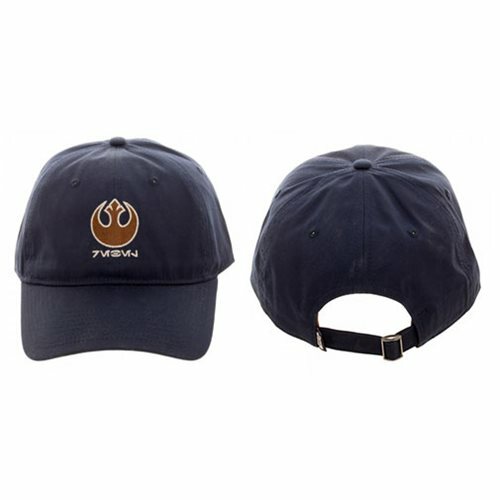 This wax coated hat features the Rebel's logo and the Aurebesh writing for rebel. Made of cotton canvas, this hat will fit most heads due to the adjustable back. Hand wash only. Ages 14 and up.